Advanced Dental Care of Towson (Towson) - Book Appointment Online! Serving families, children & adults since 1996. Our goal is to provide you with the most comprehensive family dental care available. We utilize the most advanced technology performed by the most experienced professional to address your dental needs. We tend to our patients in a relaxed and comfortable setting and provide a wide range of services, as well as convenient office hours and free parking. Our licensed professionals provide complete services in the following areas: Surgical treatment: dental implants, extractions, and bone graft Endodontics: root canal therapy Prosthodontics: crowns, bridges, veneers, and removable partial dentures Orthodontics: traditional and invisible orthodontics Periodontics: gum treatment and scaling Sealants, bonding and fillings- metal free Cleanings: routine and deep TMJ treatment Night guards and athletic bite guards Whitening and Cosmetic treatments MD Healthy Smiles Program Dental Medicaid Our Dental team takes pride in providing specific, personalized care to every patient. We take into consideration your needs, wants, your financial situation, as well as any possible anxieties you may have about the procedures. When deciding the best treatment for you all options are discussed. All procedures are completed in our Towson office, without the need for a referral to another dentist or office. We have a family atmosphere. First name basis and genuine concern for you and your family’s needs creates a warm comforting place with people you can trust. Always friendly and helpful with treatment advice! 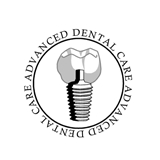 Excellent care, I have been seeing him years and never been more pleased with the quality of my dental care.